That was before. This is now. Your previous 18 months of no payment is negated by the fact “I’m now working on this and getting up to speed”. Your logic is rejected. Wholly and then some. Spearin has emboldened the weak to fight for that which they have already earned. Be careful of those you play for fools. Eventually they catch on and they won’t let you abuse them like you have so many others. Yesterday was not an attempt at reconciliation and honesty but reeked of diversion, lies and stalling. 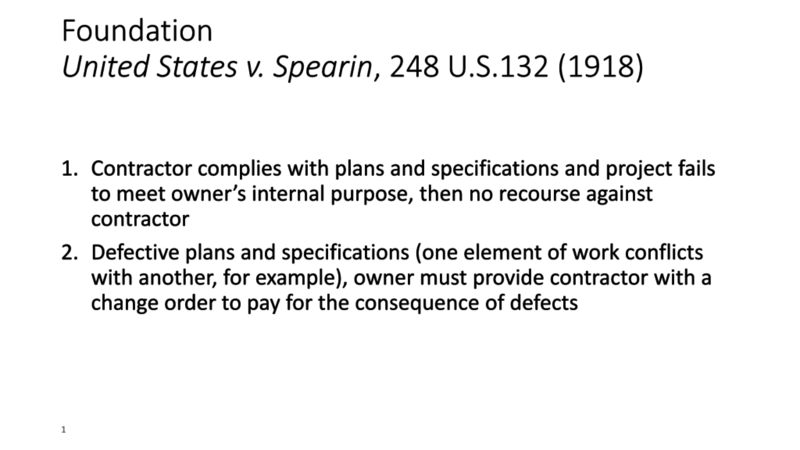 Subcontractors…Download what you can when you can and also use screen captures. Said GC was caught in a lie when they changed Procore to reflect said lie. It’s precautionary and hopefully never needs to be used but when necessary it will be. Friday is now the deadline and Monday is the “we are now suing the city under Spearin” day. Govern yourselves accordingly. Get paid even when the GC, Architect and Owner insist that their problems are yours. For some reason there seems to be a trend among architects to deny responsibility for poor design. Instead they would prefer to off load it to the sub-contractors. Have some pride and quit throwing the subs under the bus.